When we were just newlyweds, Max and I started attending The Phoenix Ballet's Nutcracker each year at holiday time. 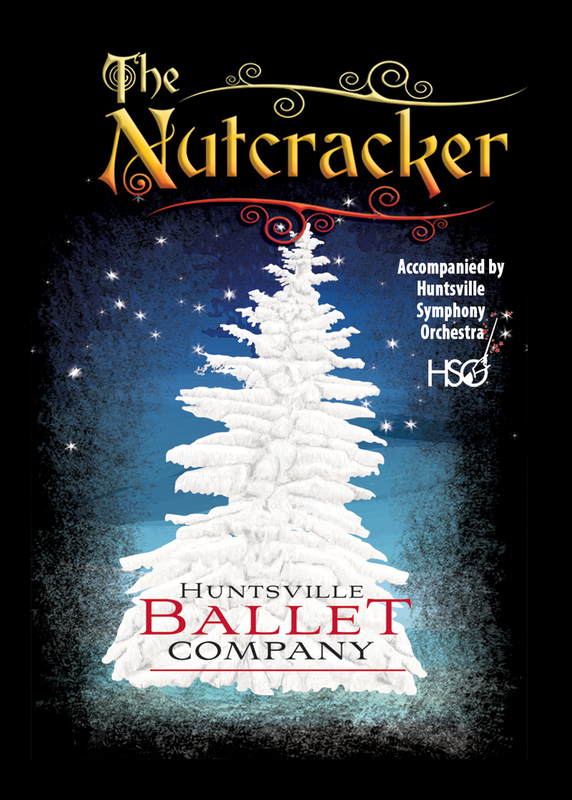 It was a fun tradition, and I was thrilled to discover last year when we moved to Huntsville that they also have their own (albeit much smaller) ballet and symphony orchestra. Our traditional would continue! 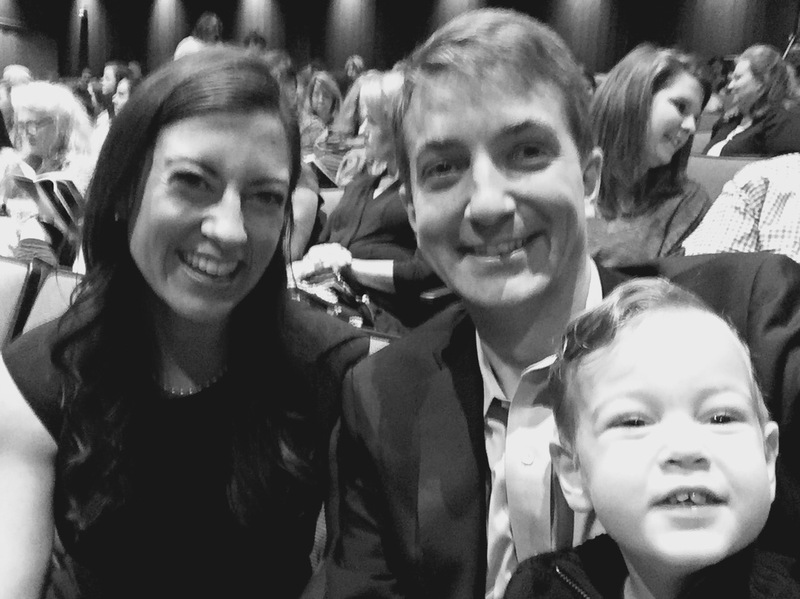 Parker was one-and-a-half last Christmas, and we decided to introduce him to The Nutcracker. He made it through the entire performance, though got a bit wiggly at the end (and thank goodness for intermission and being able to stretch all our legs midway through!). At the time, Sweet P was obsessed with Exit signs and excitedly pointed them out even after the ballet began. Oops. This was also Parker's first time experiencing applause, and oh my word did he have a blast joining in the clapping. Definitely the best part for him. So this year, we decided to give it a go again with our now two-and-a-half year old. We figured we had a pretty good shot since we are still a television-free household. A live performance, we guessed, would be captivating for a little man who had never seen a tv show or movie. But, just in case, we spent all December reading different versions of The Nutcracker, listening to Tchaikovsky, and talking about what would happen when we attended. When the big day rolled around, Parker knew we would be wearing fancy clothes, going the mile and a half down the road to the Von Braun Center, and staying very quiet in our seats as the lights dimmed and the performance began. We arrived early and he was also all sorts of excited to see the orchestra pit! Parker has been obsessed with classical music for months now, and he's fascinated by most all the instruments (especially violins and cellos). All our front loading paid off, and Parker was the best little audience member you could possibly imagine. He was all about it. He seriously watched the entire performance. We did get a bit of whispering during the second act, but it was to explain what was happening: I see dancers! Now there’s a dragon! He also had to tell us that he wanted to also see the dancers at home, please. Just like last year he got a kick out of the applause and went crazy joining in each time. We ended up visiting the orchestra three different times (before, during intermission, and after) and Parker even made buddies with the conductor! 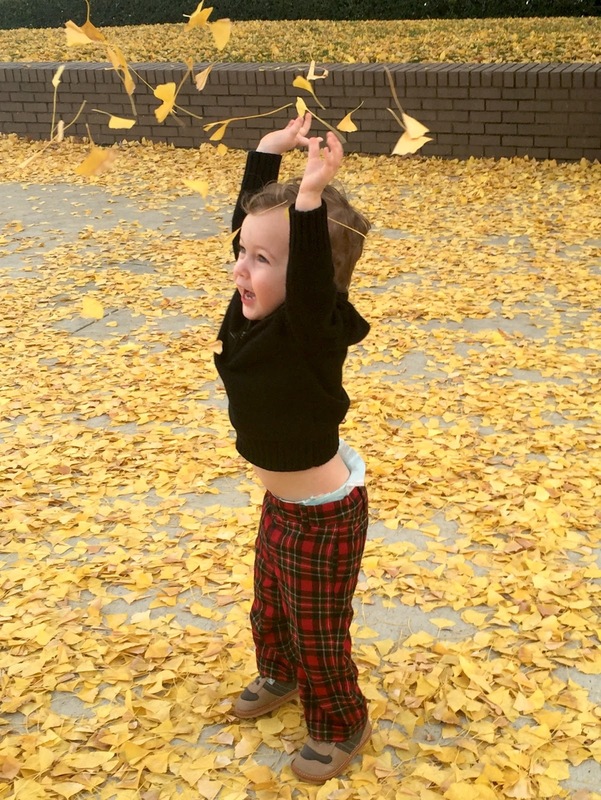 It was a gorgeous day, accented by the even more gorgeous fall leaves on the ground. 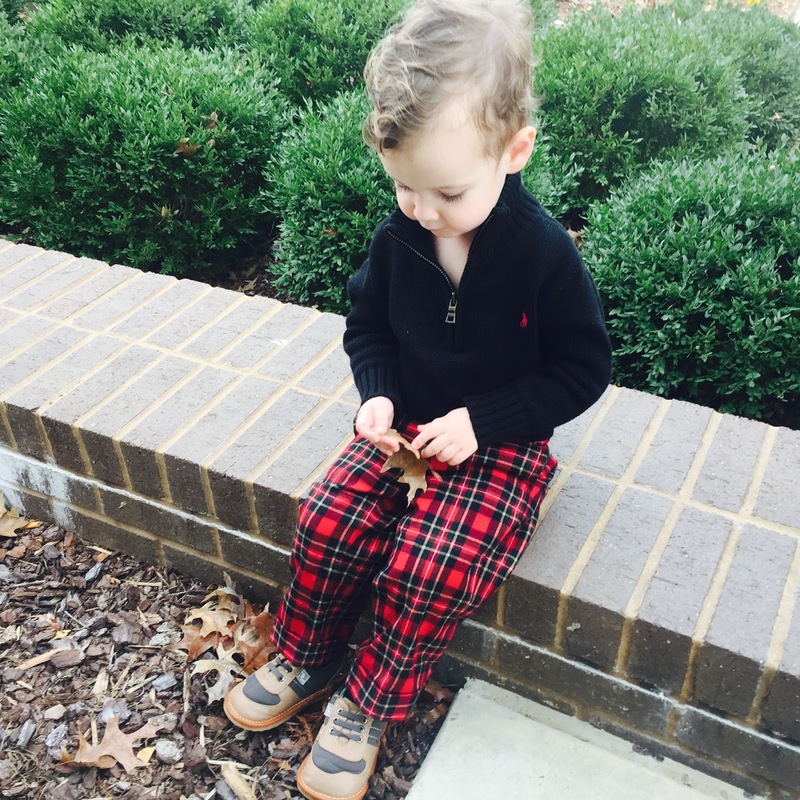 My heart is just so full being able to share this tradition with our sweet little guy. So happy for many more trips to The Nutcracker to come! We took Ellie to our local Nutcracker and she was a bit wiggly so we only stayed to intermission, but once we got into the car she kept saying she wanted to see the nutcracker again...and still does. I think I didn't do enough front loading for her but she will be ready next year for sure! !